Winter is coming! 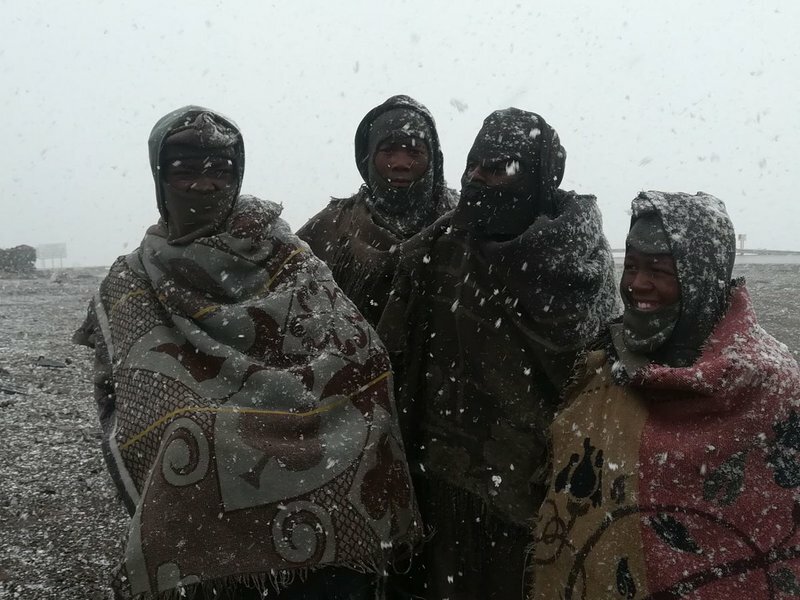 Snow has already started falling at the top of Sani Pass, the Southern Berg area and in the regions of the Lesotho-Drakensberg border. This image, courtesy of the Snow Report SA, shows snow falling at Black Mountain Pass, in Lesotho. The Snow Report SA forecast some snowfall over eastern Lesotho and the KZN Drakensberg this evening and tomorrow morning. "We see the snow reaching up right along the border towards the Maluti Mountains and Afriski according to our current maps. We do also see a possibility for snow further on into the coming week," the snow reporters said. It says falls are expected to be up to and around 10cm. On Sani Pass, the mountain pass between Underberg and Lesotho, snow was earlier seen falling heavily. Meanwhile, weather seers are forecasting low temperatures and wet weather in KZN and the eastern parts of the country for the coming week. SAWS is warning of severe thunderstorms this evening over parts of Sisonke, uMgungundlovu, Amajuba and uThukela municipalities.